This weekend my niece had a sleep over and she had to make a little pillow like her sister. 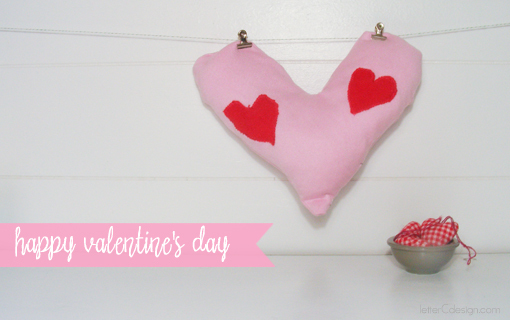 She designed this heart with hearts pillow in pink and red – perfect for Valentine’s day. As a special treat her pancakes were heart shaped also. Thank you for posting. Allie will be happy she made your “log.” Happy Valentine’s Day to you! Another cute production! Oh, the talent. BTW the valentine’s were a hit with Will and with all those whom he shared the love.